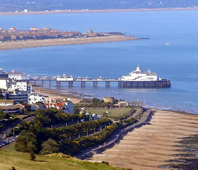 With its lovely sweeping bay and miles of golden sandy beaches, it’s easy to see why Sandown is such a traditional holiday favourite. Retaining much of its Victorian atmosphere, the resort has a pier, seaside cafes, and lovely walks by the sea wall to neighbouring Shanklin and along the cliffs to Culver Down for panoramic views of the Channel. Inland the pace is relaxed and unhurried, but with many holiday attractions. 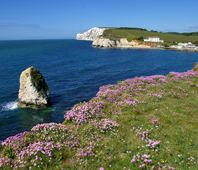 Eastbourne enjoys a fabulous position on the edge of the South Downs - and higher average sunshine figures than any other mainland resort. There are three miles of splendid promenades with lines of colourful deck chairs, the world famous Carpet Gardens are a constant spectacle of beauty and colour, there are tea dances in the Winter Gardens, and the Grand Parade Bandstand plays host to the finest military bands from all over the world. Newquay is the pride of the spectacular Atlantic Coast and has a string of magnificent golden beaches and offers a warm welcome that is very much part of the Cornish tradition. 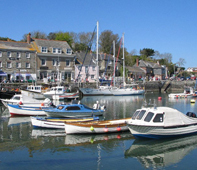 The picturesque Old Harbour is a delight to explore and the busy town centre, Trenance Gardens and many traditional seaside activities ensure that there is always something to see and do. And as an added bonus we have included a visit to the world famous Eden Project. The ancient cathedral city of Hereford is really no more than a market town, set in a peaceful rural landscape of farms, orchards and half-timbered villages. 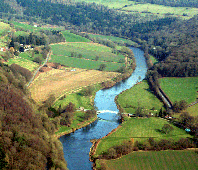 It grew up on the River Wye on the border of Wales, a garrison protecting the Saxons from the Welsh tribes. With the Malvern Hills to the east, and the wilder mountains of mid-Wales to the west, it makes a fascinating base for touring through some delightful countryside.